Change the Ownership of my .au Domain Name Completed - Your legal domain ownership order now has been completed as per requirements below. You don't have to do anything. A registrant name change is the process of transferring the ownership of a domain name ending in .au from one party to another. A transfer of ownership involves complete re-registration of the domain for 2 years with the receiving entity, who will need to meet the eligibility requirements to hold the registration of the domain. - The domain name is currently registered with TPP Wholesale. - The current registrant contact details for the domain name are valid and accessible. A confirmation request will be sent to the registrant contact email address. Perform a whois search if this is not known. - The credit card details are valid. - The domain Authcode (EPP / Domain password). Ideal for small business starter and it suitable for individuals. You must have your domain transferred to Shopping Websites (OAVS) servers in order to use this service. 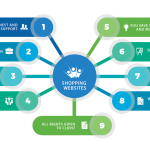 If you do not own your own domain, you can register through www.shoppingwebsites.com.au. See for further help. 'WEB SERVICES > DOMAINS' . All our hosting plans are upgrade-able. All of our hosting plans have a 30 day money back guarantee. If you are not happy with our service please let us know and we will refund your money less the setup fee. Small business website hosting standard. Perfect for small to medium size business using WordPress or shopping cart in mind. Our top of the line hosting plan for a serious business owner on the web. We have taken most of the limitations out of the equation on this plan.